Country music traffics in a common set of images, but as far as the genre goes, Bobbie Gentry’s music is some of the most particular. Gentry’s songs are precise, down-to-the-dirt renderings of the Mississippi land on which she grew up. “Ode to Billie Joe,” for instance, has single-handedly defined Gentry’s legacy because it’s so specific. It isn’t just about any bridge, but the Tallahatchie Bridge. Not just any summer day, but the “third of June, another sleepy, dusty Delta day.” Not just any neighbor but Billie Joe MacAllister. The same goes for Gentry’s less popular, more ambitious second album, which was recently reimagined by indie rock group Mercury Rev for their album “Bobbie Gentry’s ‘The Delta Sweete’ Revisited.” Mercury Rev’s version, which came out Feb. 8, takes Gentry’s initial vision of an operatic look at life in the Deep South and expands on it. 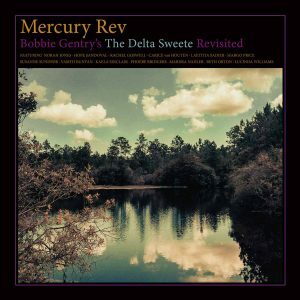 While Mercury Rev and the 13 female vocalists who are featured on the album — including Norah Jones, Margo Price and Lucinda Williams — have made a beautiful album, they’ve also lost some of the musical specificity that gave Gentry’s “The Delta Sweete” its gritty, humanist quality. On the 1968 version, the blues lyrics of songs like “Big Boss Man” and “Tobacco Road” were equally matched by their backing music. Mercury Rev replaces this instrumentation with soaring, glimmering soundscapes, pulling the lyrics off the Mississippi ground and floating them somewhere in space. Featuring the smooth vocals of Mazzy Star’s Hope Sandoval, “Big Boss Man” meanders masterfully like the sleepy Delta day that Gentry is so famous for singing about. “Tobacco Road,” sung by Susanne Sundfør, launches with a driving, locomotive drum and energizes this song about rising from rural poverty. “Parchman Farm” is another blues number. Using a flute, Mercury Rev connects the song to the blues tradition, even if the flute isn’t immediately recognizable as a blues instrument. Luckily, “‘The Delta Sweete’ Revisited” picks back up at “Refractions” before gliding through “Courtyard,” sung by Beth Orton, and into the album’s end. Although the final song, Lucinda Williams’s version of “Ode to Billie Joe,” is the only song not on the original “The Delta Sweete,” it still seems necessary. Williams’s fractured drawl is far from Gentry’s syrupy vocals, but Williams, who rose to fame with an album called “Car Wheels on a Gravel Road,” was a fitting choice to cover this song of country tragedy. Sitting at just over 10 minutes longer than the original (including the tribute to “Ode to Billie Joe”), the new Mercury Rev album stretches out Gentry’s 1968 classic. This reimagining keeps the same power as Gentry’s vocals while losing some of the particularities that made Gentry’s such an inspiring musical model.